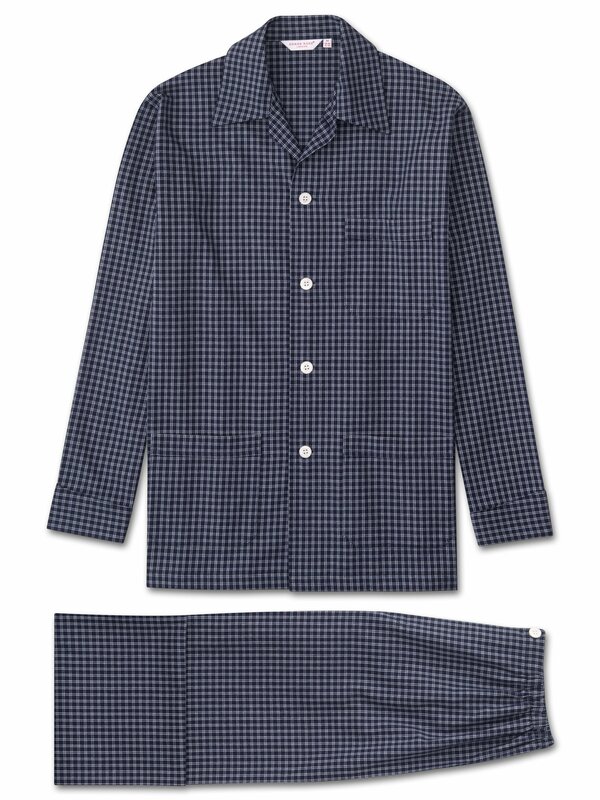 Part of the Derek Rose Classic nightwear collection, the Braemar is a core pajama ideal for the chillier months. 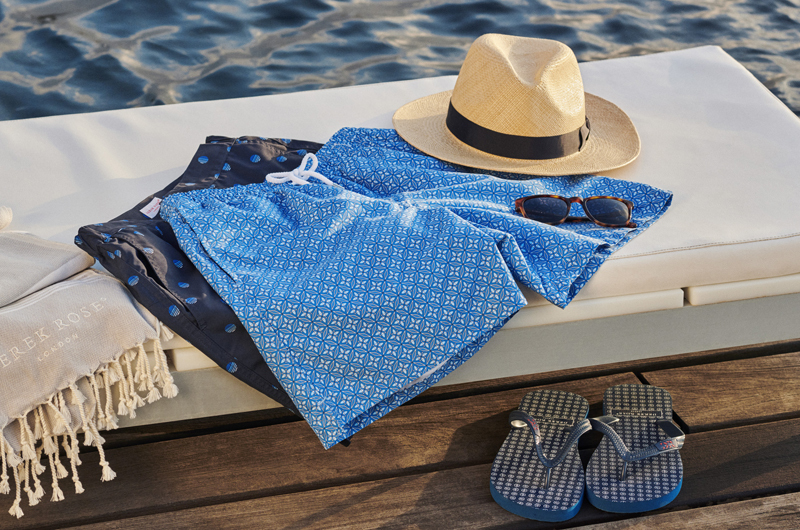 Thanks to its ultra-soft brushed cotton fabric, it's snug and comfortable to wear — and sports a classic navy checked design. Styled, like all our pajamas, for comfort and relaxation, the Braemar features a three pocket jacket, classic collar and adjustable two-button waistband. Elasticated sides on the pants mean the front and back are flat for your comfort. Stay snug, comfortable and stylish in a Braemar pajama.